Besides the 2019 Lok Sabha elections, the leaders also discussed the organisational structure of the party in Punjab. Punjab Chief Minister Amarinder Singh was accompanied by state Congress in-charge Asha Kumari, senior party leader Harish Choudhary and state party chief Sunil Jakhar. Punjab Chief Minister Captain Amarinder Singh on Thursday met Congress president Rahul Gandhi at his residence and discussed the 2019 Lok Sabha polls. 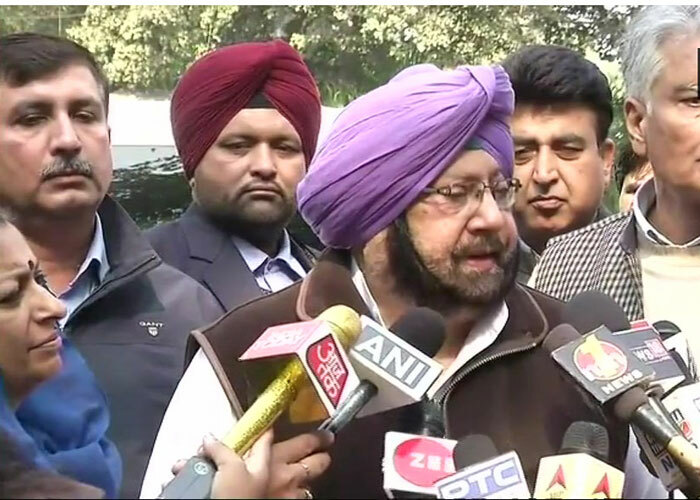 "Had a long discussion on 2019 Lok Sabha polls with Congress president," Captain Amarinder Singh told media after meeting Gandhi. Singh was accompanied by Punjab Congress in-charge Asha Kumari, senior party leader Harish Choudhary and state party chief Sunil Jakhar. The Congress leader said: "The resignation of Rana Gurjeet Singh has been accepted by the Congress president and the expansion of Punjab Cabinet would take place after elections of Ludhiana Municipal Corporation." Rana Gurjit had recently tendered resignation amid ongoing sand mining row allegedly involving him. Asked about the ceasefire violations by Pakistan, the Congress leader, who has also served as a Captain in Indian Army and was part of 1965 India-Pakistan war said, "I want, if one of our jawans (soldier) dies, then 10 of their's must die. "That is how I look at life," he added. Earlier in the day, a Border Security Force (BSF) trooper and a girl were killed in overnight shelling and firing by Pakistan Rangers on the international border in Jammu and Kashmir. The incident took place in RS Pura sector in Jammu district.